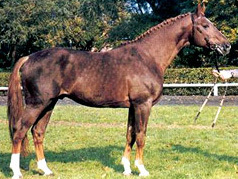 Trapper stood at the Celle State Stud and was used in the quadrille demonstrations. 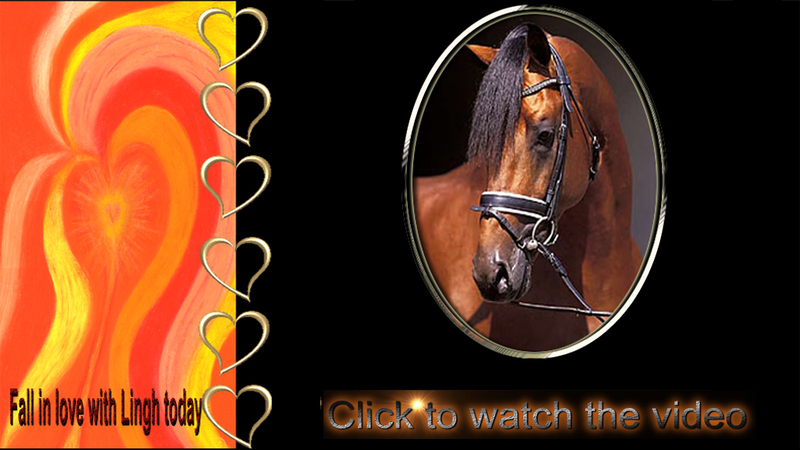 He is best known for producing top broodmares. 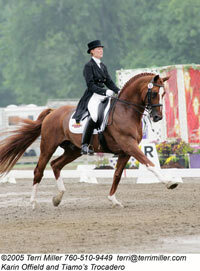 These mares are known for their big, floating trots and their ability to outproduce themselves. The Trapper line has nicked well with the Diamont line. Contact us today and let us help you breed your next champion! WE FOUND TRENTON !!! This colt was bred by the quarantine owners, when Tiamo came to America. Years later I found him in New Jersey and purchased him. He found an amazing home and has been retired due to an injury and lives a great grassy life! “TC” has begun his under saddle training. This is a lovely colt by the dressage champion stallion Tiamo Trocadero of Offield Farms. He has an unflappable personality and wonderful work ethic. 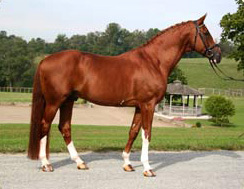 He has interesting and hard to find bloodlines that are known for versatility, rideability and exceptional talent. Tiamo touched many lives in his long and successful career. He has been winning at Grand Prix since he was eight years old, competing in Europe’s top CDIs and scoring over 70% at Aachen, Hichstead, Arnheim, and Munich. 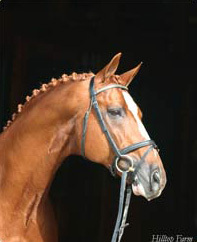 He qualified for the 2000 Sydney Olympics, was an alternate for the British team, and subsequently took his American amateur owner, Karin Offield, to multiple USDF year-end awards at FEI levels. 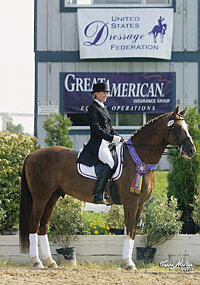 In 2010, at age 23, Tiamo continued to be sound and successful in the show ring. 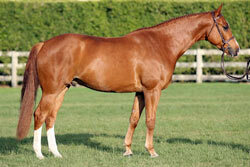 Tenacious’s dam has had winner after winner with First Premium Oldenburg Na to first Premium KWPN. She now has been inspected and approved for AHS as well. 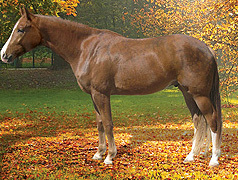 She is by the great dressage stallion, Anhaltiner E, but with the Absatz blood she has proven herself over fences as well.